Wrap yourself in delight with our 300 thread-count bed linens. Fabricated with unsurpassed quality for long-lasting appeal and enjoyment, the white-on-white, pinstripe design is a look that never goes out of style. 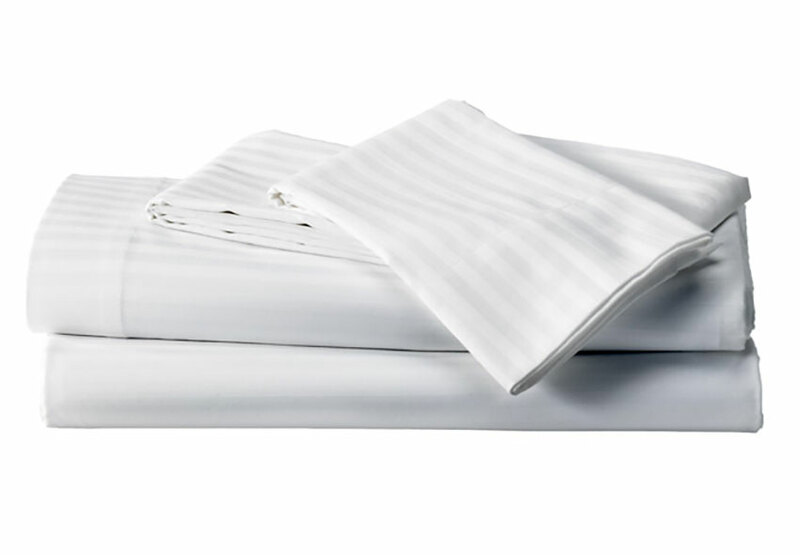 Slip into premium quality and luxury under our 300 thread-count, 100% cotton flat sheet. Add this to our fitted sheet and build your favorite bed, one piece at a time. Begin your bed makeover with our 100% cotton, 300 thread-count fitted sheet. It stays secure over any mattress, providing classic comfort and discernible luxury. Our 300 thread-count pillowcases are fabricated from 100% cotton for maximum softness. Pop in your favorite pillow drift into indulgent slumber.